8 Celebrity Brides & Their *Oh-So-Beautiful* Mehendi Designs! A girl’s bridal mehendi is one thing, among many, that she wants to be perfect. The colour, the design, everything should be spot on. And this holds true for our celebrity brides too! They have probably tied the knot on screen multiple times, but they are as excited about their real life wedding as any other girl. 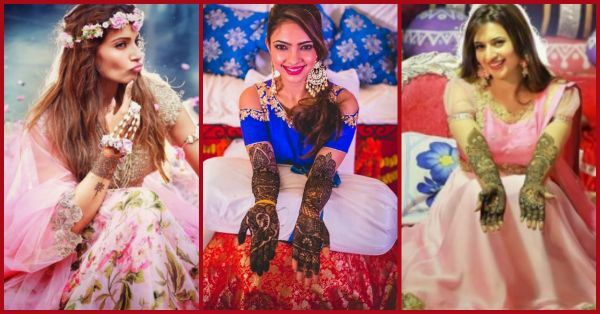 So, just to give you some bridal mehendi inspiration, we bring to you 8 celeb brides and their mehendi designs. Check em’ out. Divyanka’s mehendi was very, very unique and something not many of us have seen before. The pretty lady, had portraits of herself and her hubby Vivek, made on her palms with mehendi. And, we must say, they looked pretty accurate. Some inspiration, eh? Bipasha and Karan’s ‘monkey’ wedding was a really special one, mainly because of how elated the lovely couple was! One thing we loved most about the wedding celebrations was Bips’ mehendi. It was minimal, floral and yet so perfect! All the brides who believe that less is more, this one’s for you ladies! Belonging to royalty herself, Soha’s mehendi was nothing less than royal! Especially the design on her feet; we just couldn’t take our eyes off it. It was a simple design that enhanced her bridal charm by multiple times. On her hands, Soha went for an elaborate design and it looked gorgeous. Just like Bipasha, Hazel too went for a minimal floral design which looked gorgeous on her hands. Despite being simple, it was intricate and elegant, another one for the ‘non-OTT’ bride. 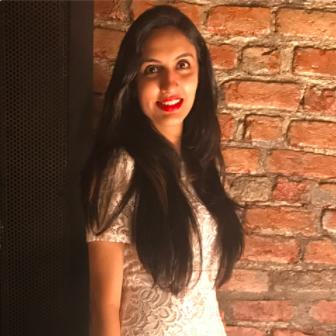 Pooja went all out with her mehendi and it suited her so much! Her henna was filled with flowers and other Indian motifs. So, if you want to go the traditional way, then you know what to look for. Kishwer’s mehendi was as pretty as the lady herself. She opted for a traditional design that reached a little over her elbows. Her mehendi glow was enhanced with her bright smile and gorgeous floral jewellery. Kavita and Ronnit, had a super unique and hatke wedding, and her mehendi was nothing less than extraordinary! It was an amalgamation of designs and managed to look so classy. There were circles, flowers and various other motifs, but it was unique and pretty, just like Kavita herself. The typical Punjabi bride went for a super pretty Indian mehendi design. The checks and flowers in her mehendi looked gorgeous, which in turn made the bride look even more radiant and perfect.